With summer on the horizon, along with all of the busy activities and fun associated with the season, you don’t want to face a septic system breakdown. The most reliable way to avoid this and other related issues is to contact a septic cleaning specialist to ensure your system is fully prepared. Here are a few tips to follow, so you'll have no problem enjoying everything the warmer months have to offer. The stricter you are about sticking to a maintenance schedule, the less you'll have to worry about unexpected system failure and backups. Schedules will vary depending on the size of the tank and the number of people in the home, but most professionals recommend annual septic cleaning for a household of four with a 500-gallon tank. Adhere to this and your system will be more than ready for the summer months to come, especially if you have it pumped right before the season begins. There's more to septic maintenance than annual cleaning and pumping services. There are many essentials to follow along the way, especially when it comes to how you treat your system's piping. What you flush down the toilet or let slide down the drain makes a difference in how your system performs, so adjust your disposal habits accordingly. You should also be careful not to overload your waste system with water, which is a possibility, thanks to the increased parties and get-togethers that come along with summer. There's never a bad time to inspect your septic system for repairs. One of the easiest steps you can take involves regularly checking for leaks throughout the home. Inspect your toilets, sinks, and outdoor hoses periodically and call plumbing professionals as soon as you notice a potential issue. Tackling any necessary repairs as soon as possible is the best way to stave off more serious and expensive repairs during the busy summer. Freeing yourself from any concerns surrounding your septic system this summer is all about being proactive. Develop positive maintenance habits now, and you'll reduce stress and repair costs for the foreseeable future. A Plus Sewer Service has been providing the New Hampton and Goshen, NY, communities with the best in septic cleaning for nearly 30 years. 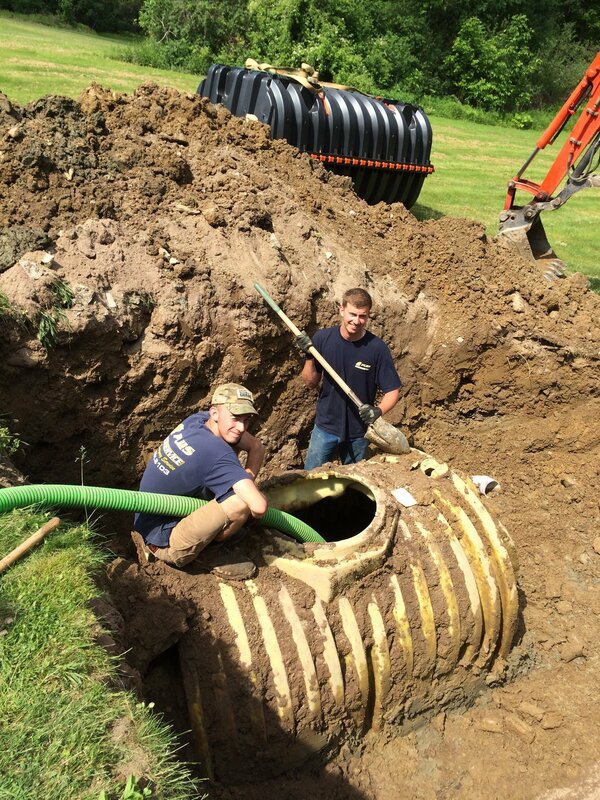 Whether you need to hire a reliable company for new septic tank installation or want routine maintenance you can count on, their team has you covered. Visit their website for more information about their septic and sewer services, and call them at (845) 294-6103 to schedule an appointment today.